News is out fairly early in the week that Google and Yahoo! are working on their own respective next-generation social networks. While the two already own properties in the space — Google’s Orkut and Yahoo!’s 360 — they’ve failed to capture a demographic even lightly proportionate to the success of MySpace, Facebook and Bebo. It’s no secret that Yahoo! tried to buyout Facebook, Bebo and some others. And failed. So could this be their cold-hearted response? Currently, all we know about it is its name and the fact that its available to anyone inside Yahoo!’s offices at mosh.yahoo.com. It’s worth noting that while Yahoo!’s 360 failed to popularize, it was nevertheless quite up to speed with its technologies. Whether Yahoo! Mosh is simply a re-brand with improvements or something completely new, it’s most probably going to live up to its rivals — considering Yahoo!’s past buyout “experiences” in this space. 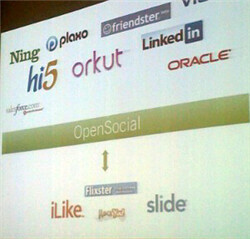 In a similar way to Orkut‘s initial affiliation with Google [and the rebranding a year later], Socialstream is a Google-sponsored project by Carnegie Mellon Universityâ€™s Human-Computer Interaction Institute. After putting a lot of research into the space, Socialstream’s goal is to be a USN, that is, ‘unified social network,’ which compiles information from many others and lets you navigate, access and aggregate them in a more seamless manner. A 5 minute-video demo of of the service is available here. 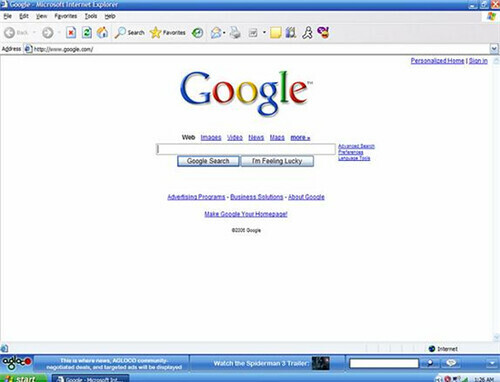 From what we can tell, it shares a slight Google feel to it and supports a superb interface — much more advanced than some of today’s ones. “Google-sponsored” doesn’t mean much, currently, although judging by the way it’s built and the information on their site, it seems like it’s going to be integrated with Google sometime in the future (we called it!). News Corp Might Sell MySpace to Yahoo for $12 billion? !